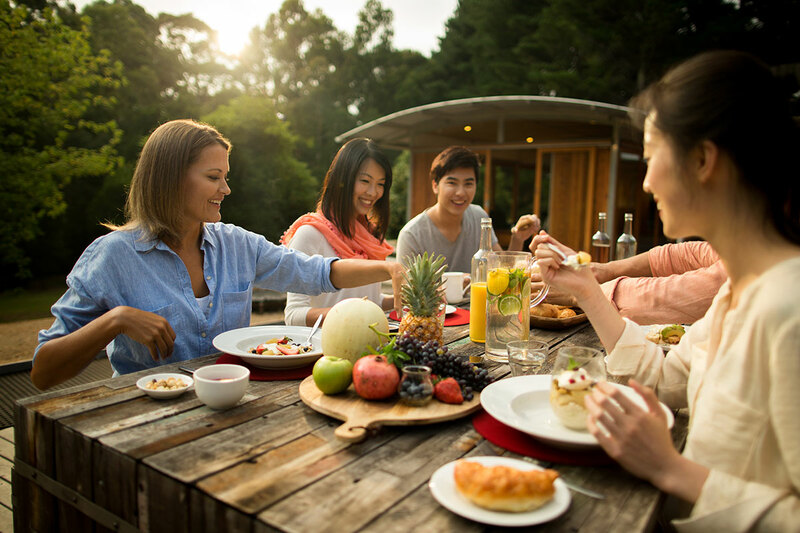 Taking on one of the Great Walks of Australia, you’ll discover the people, places and fresh high-quality produce that make Australia unique. 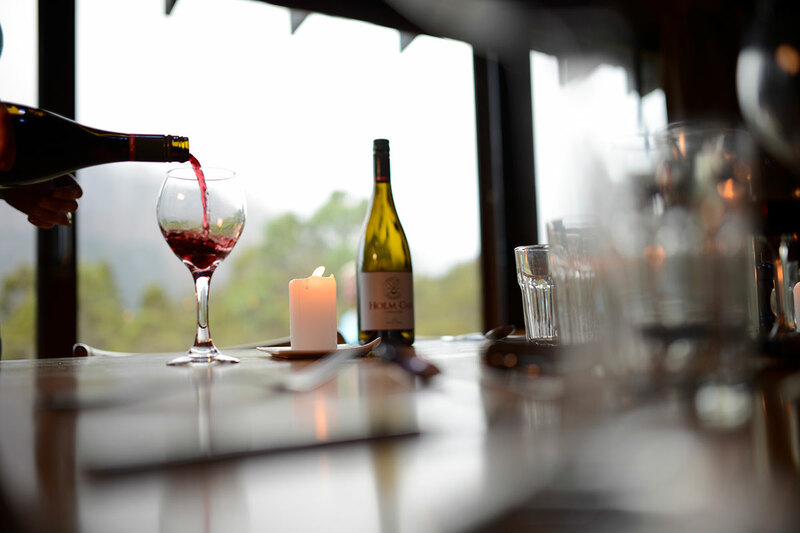 We serve up some of the finest food and wine in remarkable locations and against stunning backdrops of scenic beauty. 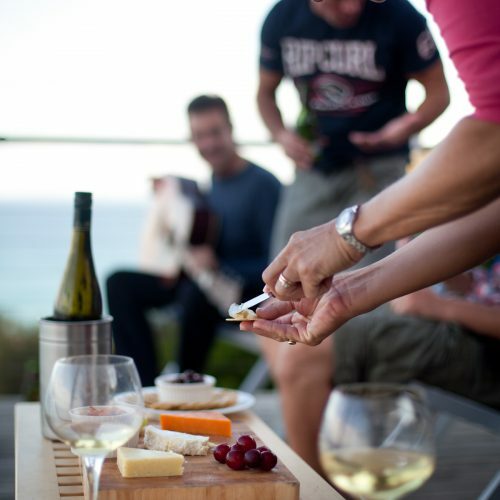 Where possible we showcase regional food and wine to give you a true sense of another element of the destination. 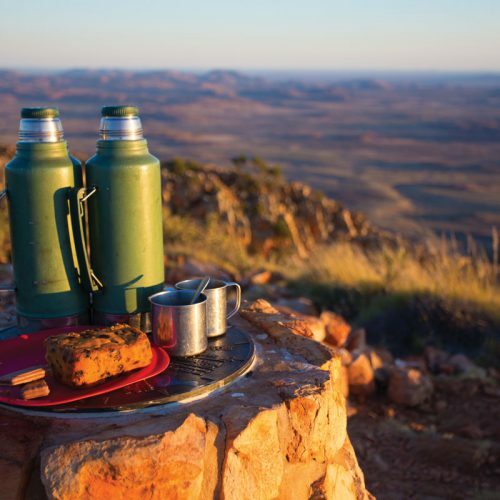 Professional guides and welcoming lodge hosts bring the landscape to life with fresh, culinary delights in remarkable locations. 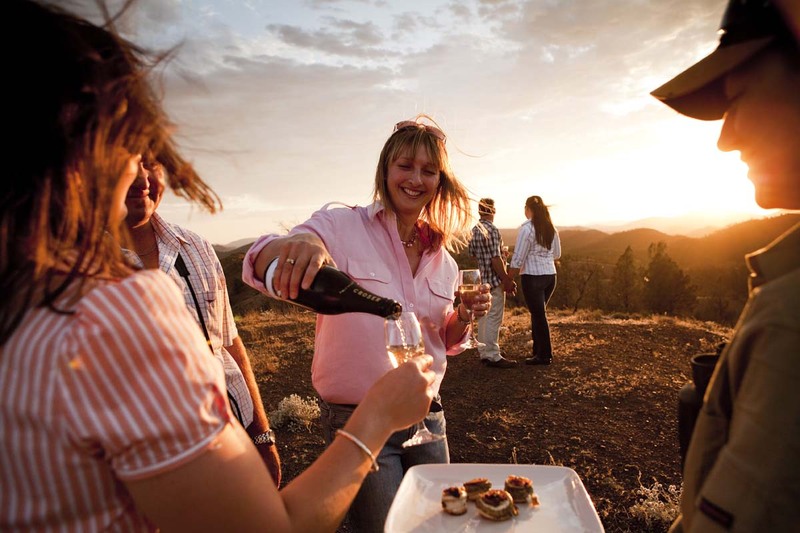 Whatever your pleasure, Great Walks of Australia will revolutionise the way you think about quality food and wine. 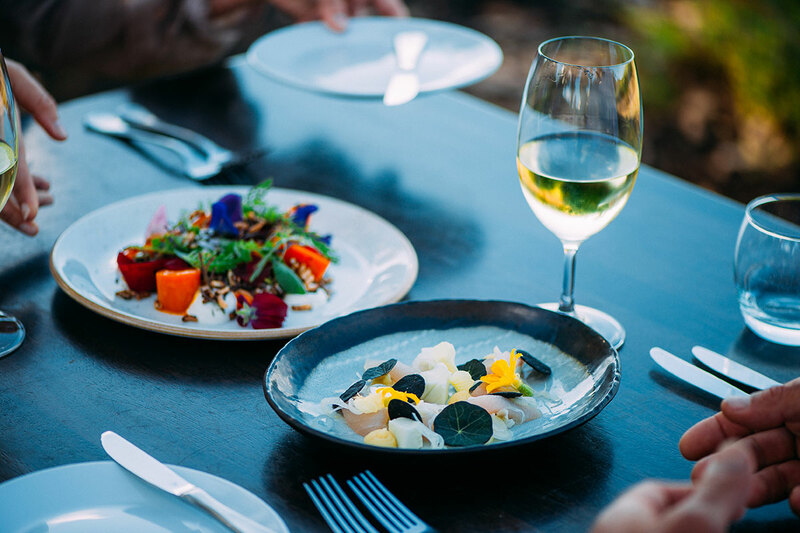 Dine on world class cuisine at Pinetrees Lodge after walking the Seven Peaks Walk on Lord Howe Island. 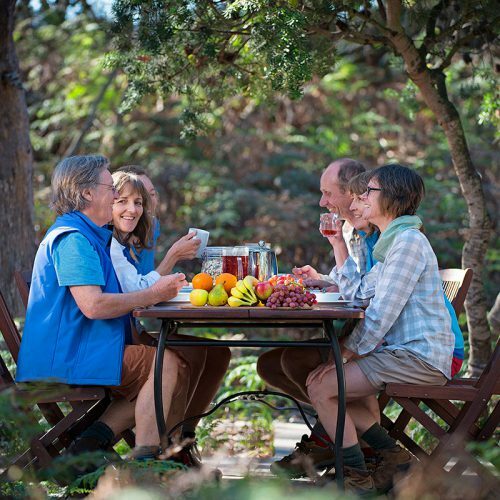 Enjoy a social breakfast with Great Walks of Australia on the Twelve Apostles Lodge Walk in Victoria. 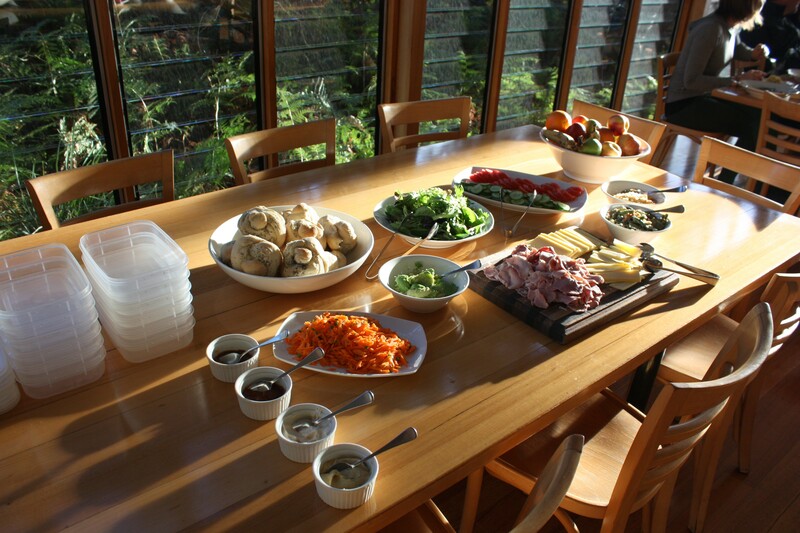 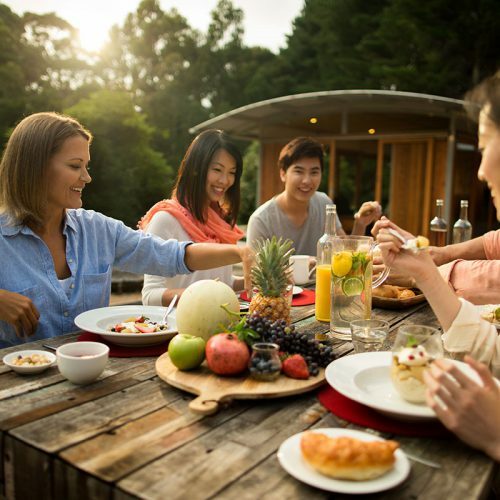 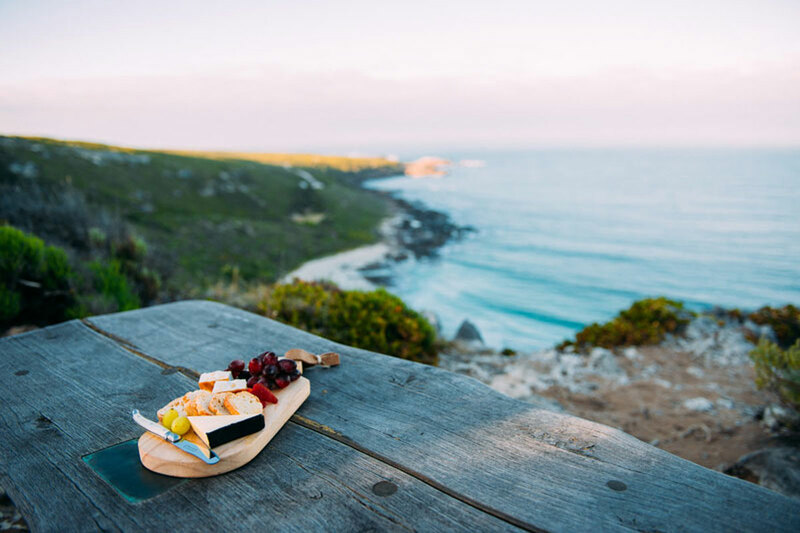 Start your day with a delicious breakfast at Casuarina Beach Camp on Maria Island in Tasmania. 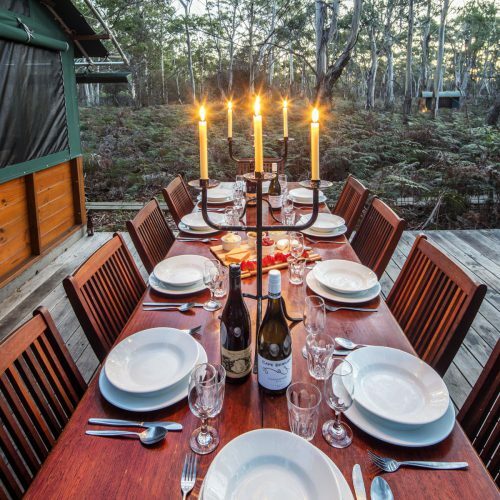 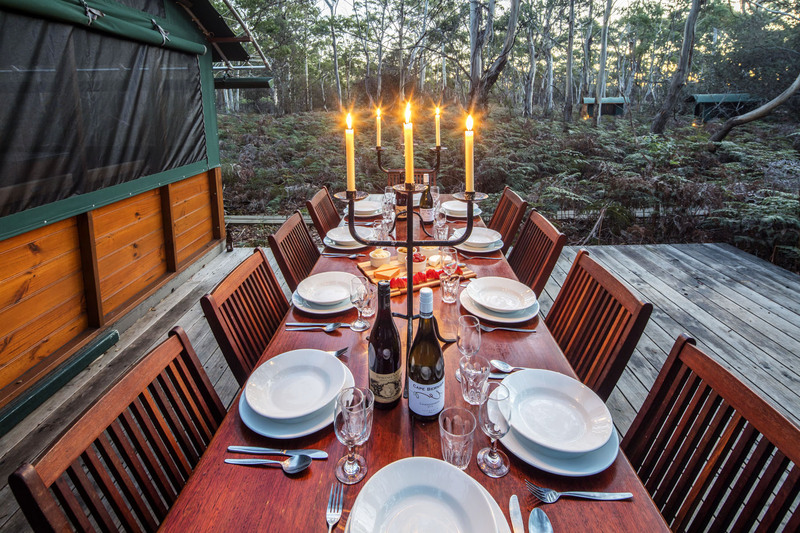 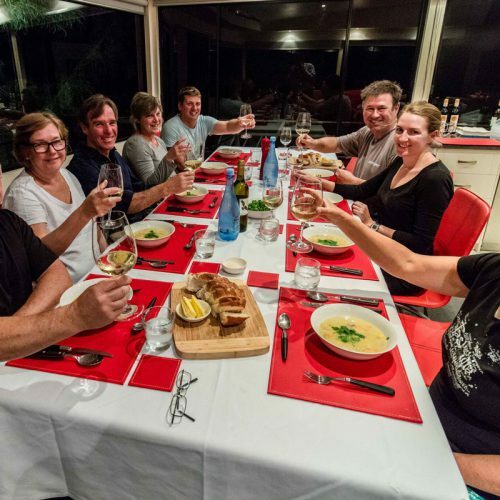 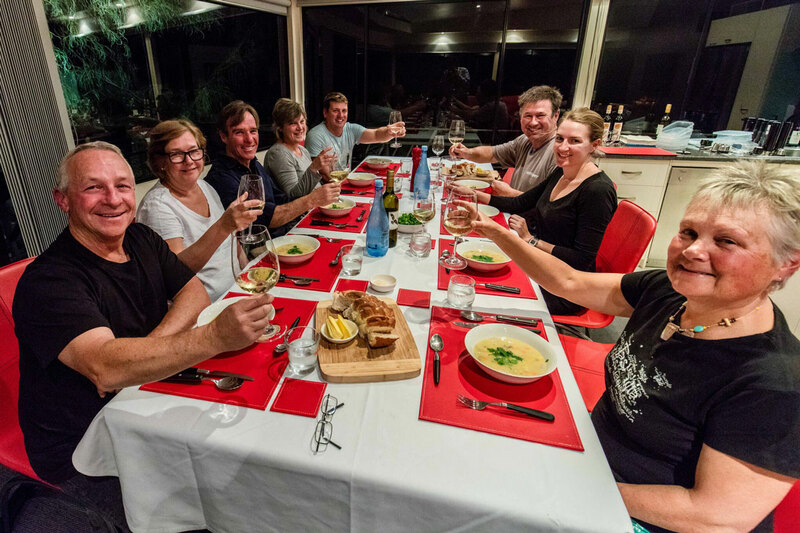 Enjoy high-end home cooking, fresh seafood and local wines on the Freycinet Experience Walk in Tasmania. 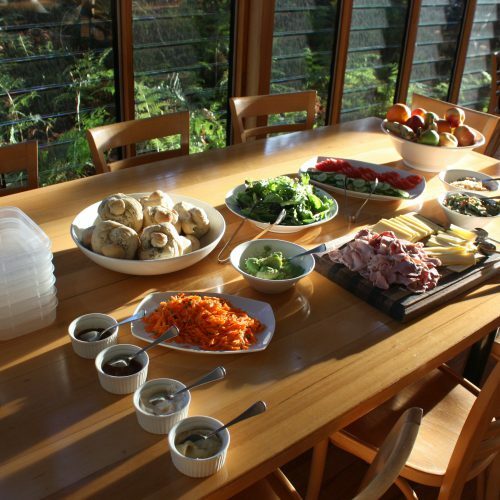 Warm huts and warm food is truly the way to hike on the Cradle Mountains Huts Walk in Tasmania. 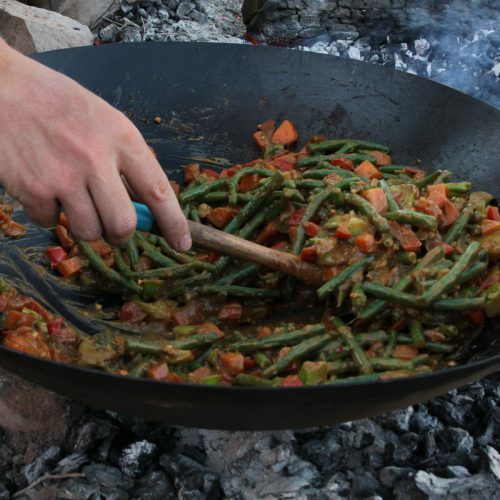 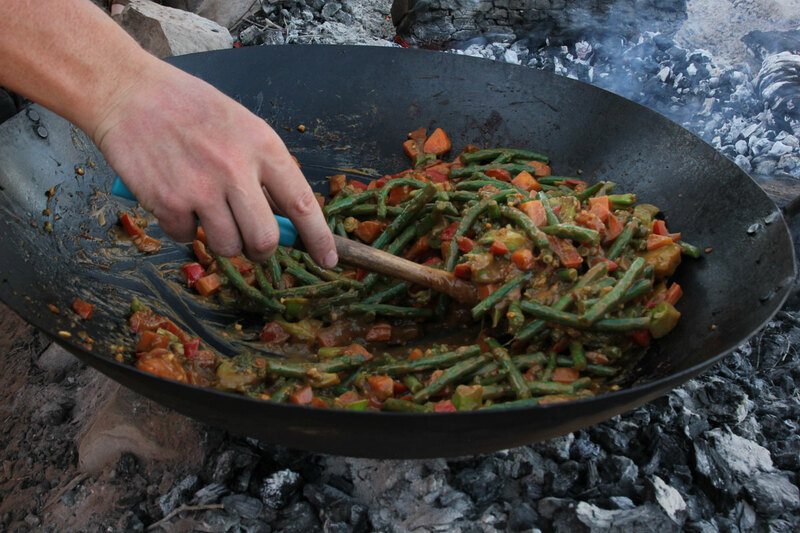 Enjoy delicious food cooked in a fire pit after a day walking the Larapinta Trail. 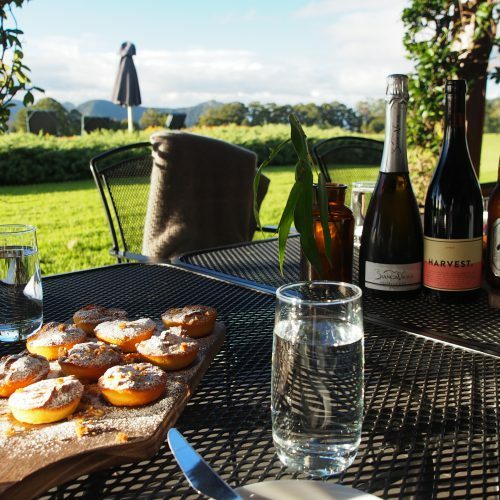 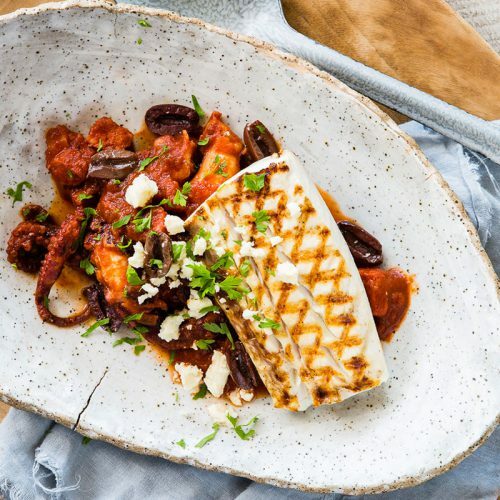 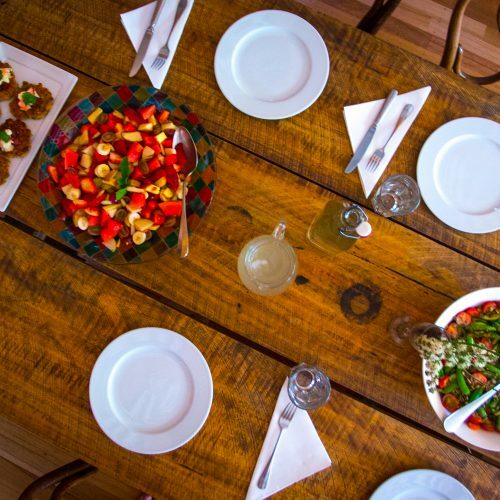 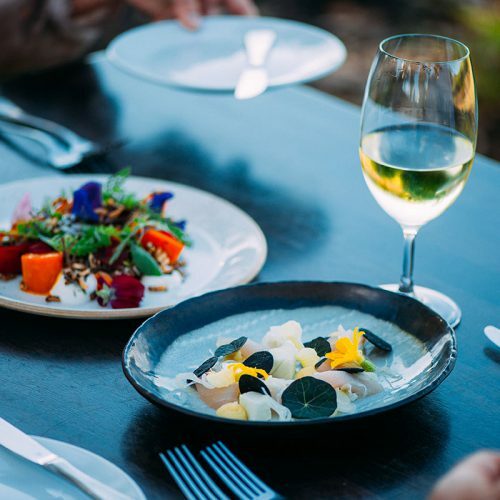 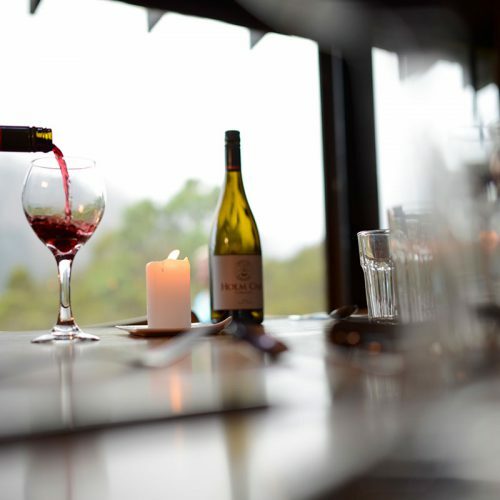 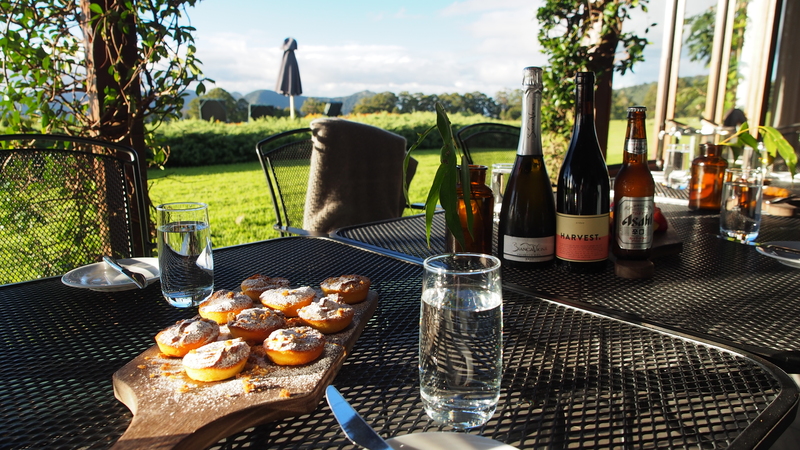 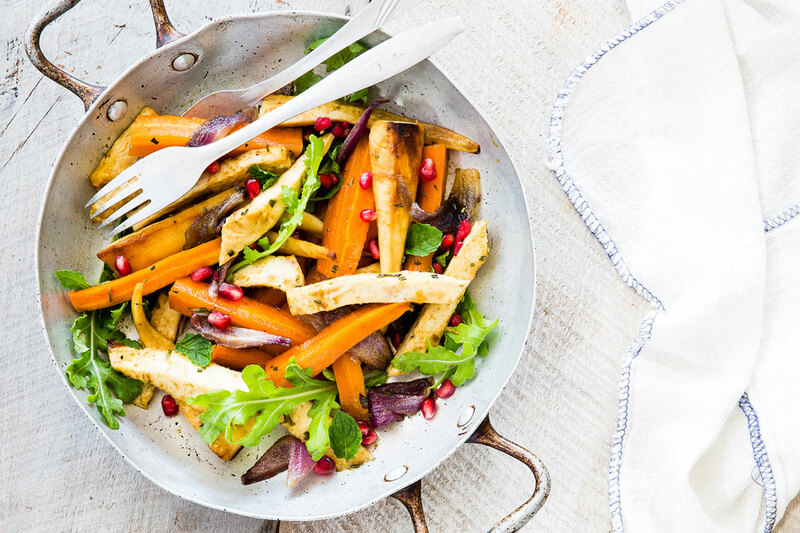 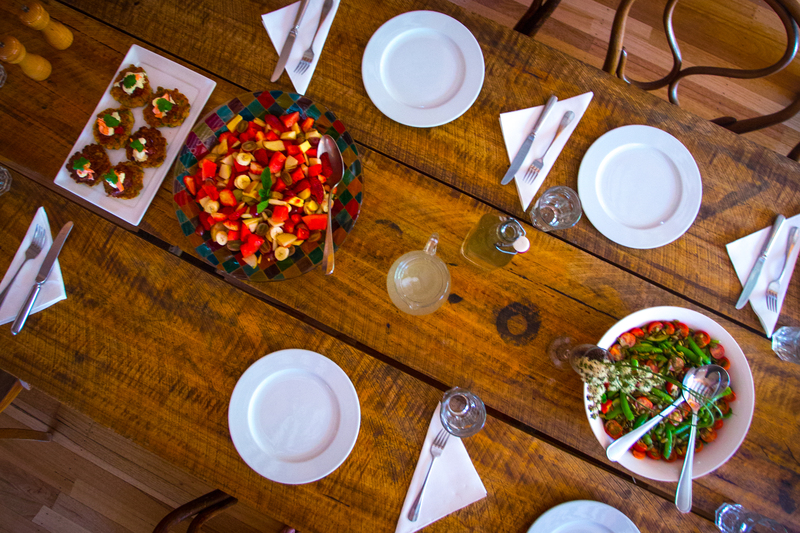 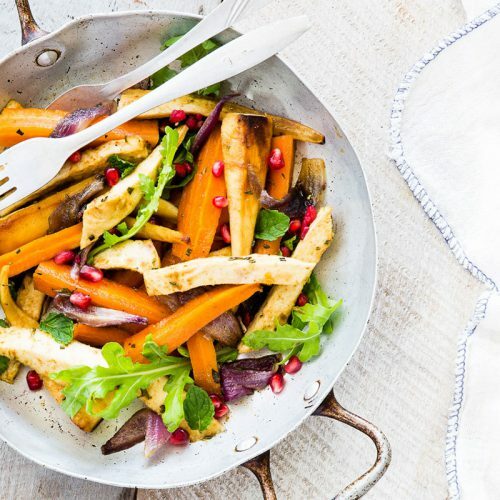 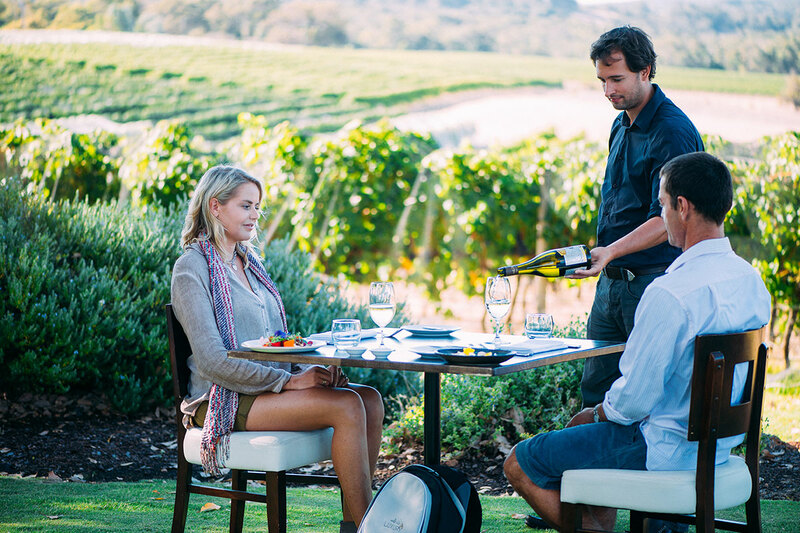 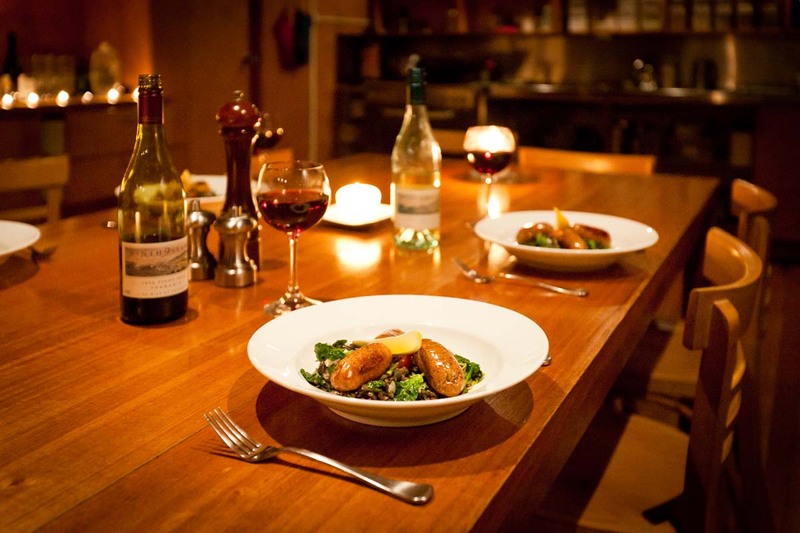 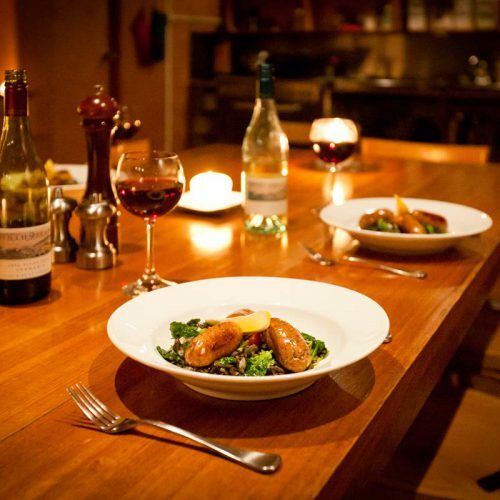 Dine on five star cuisine and enjoy fine Western Australian wine at Will's Domain winery. 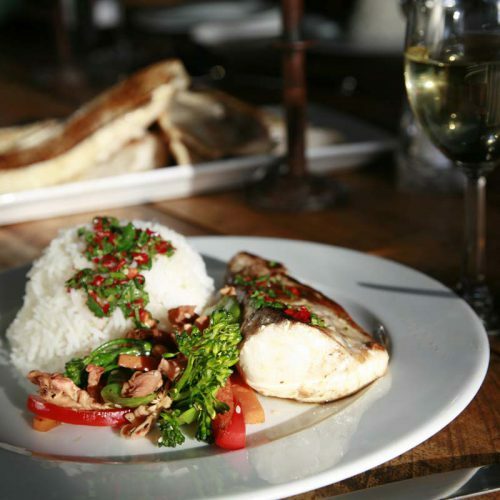 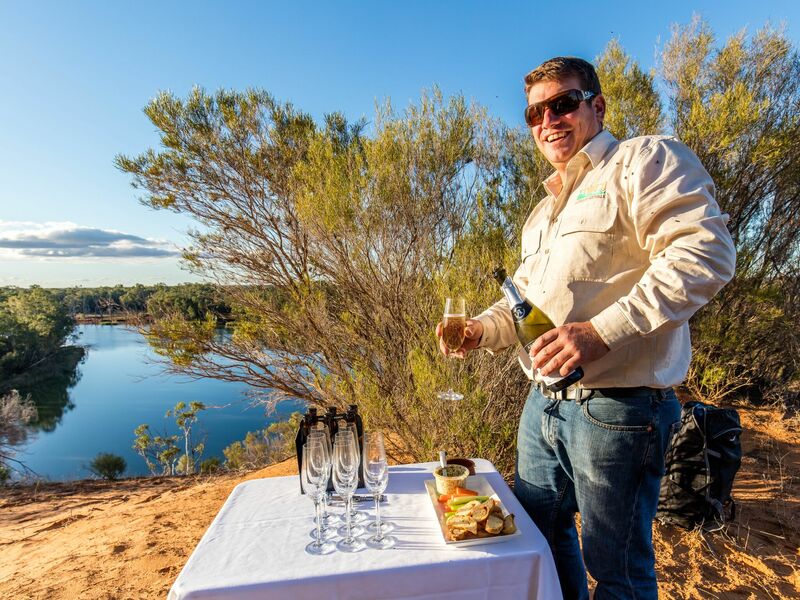 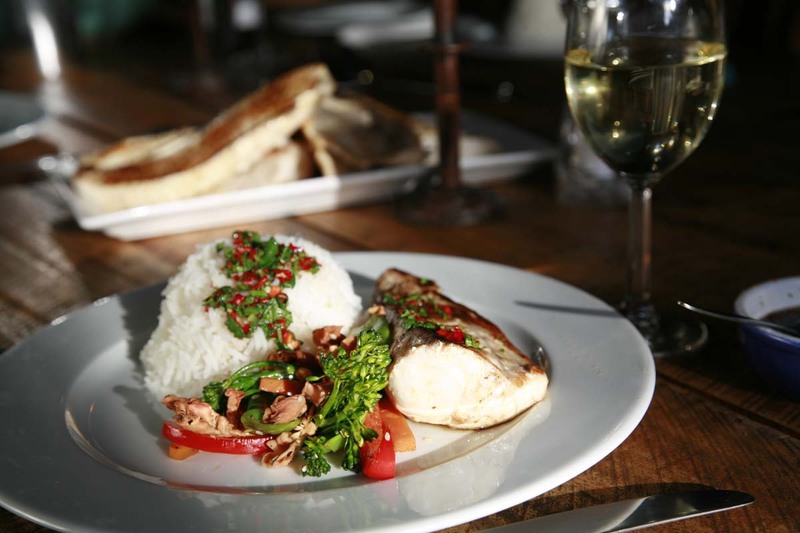 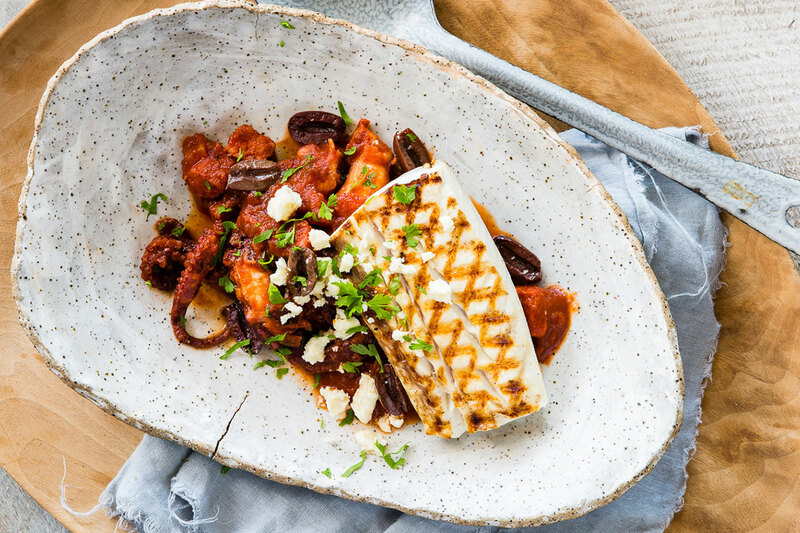 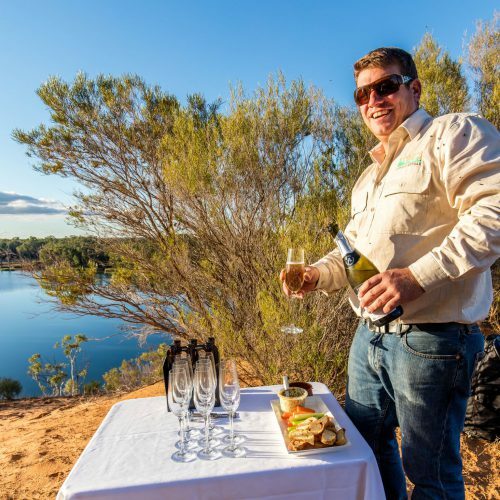 Dine aboard a houseboat on the Murray River enjoying regional foods from the Riverland including Murray Cod. 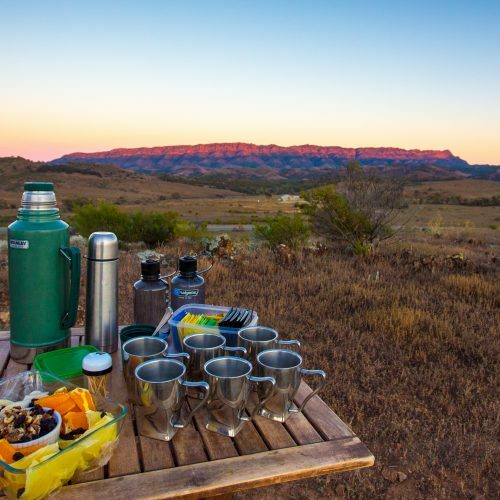 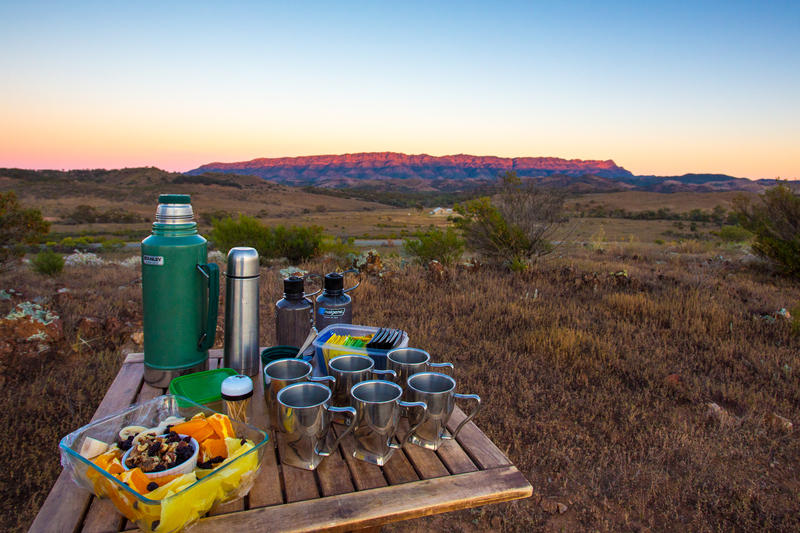 Enjoy sundowner drinks and delicious canapes on the Arkaba Walk with Wild Bush Luxury. 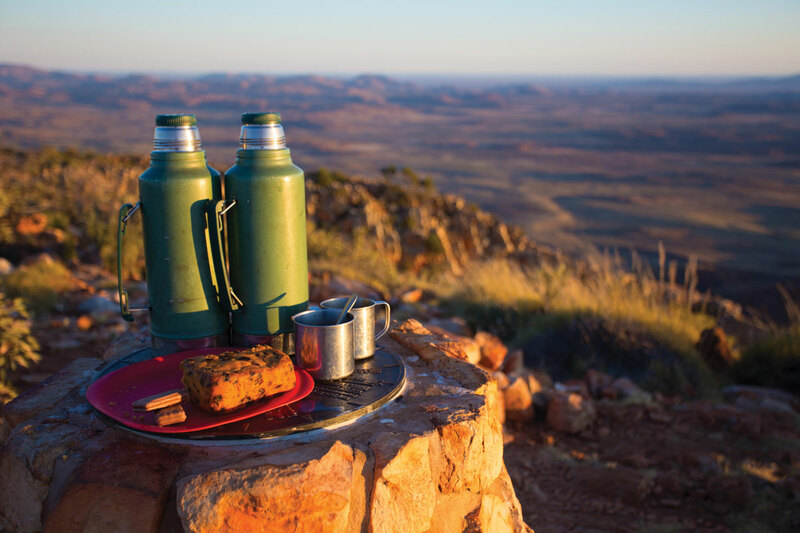 Take in beautiful views whilst enjoying morning tea overlooking the vast Northern Territory plains. 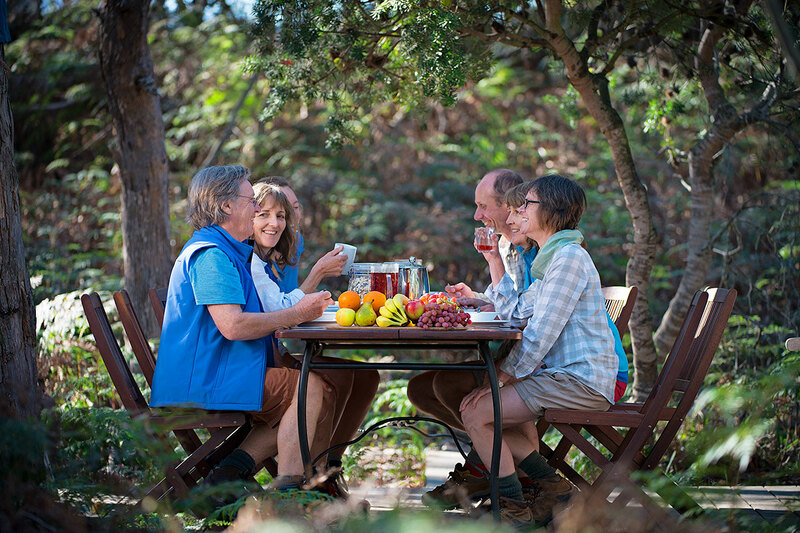 Dining with new friends is a great experience on the Great Walks of Australia. 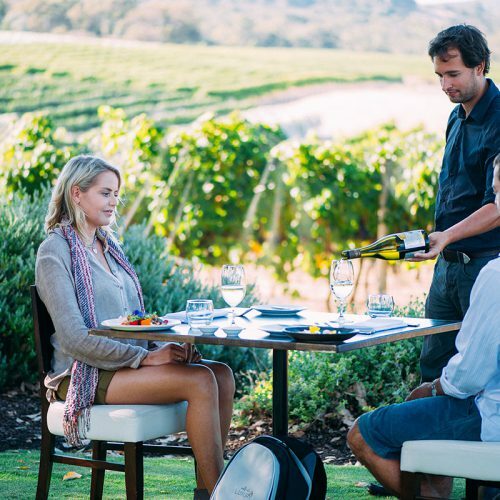 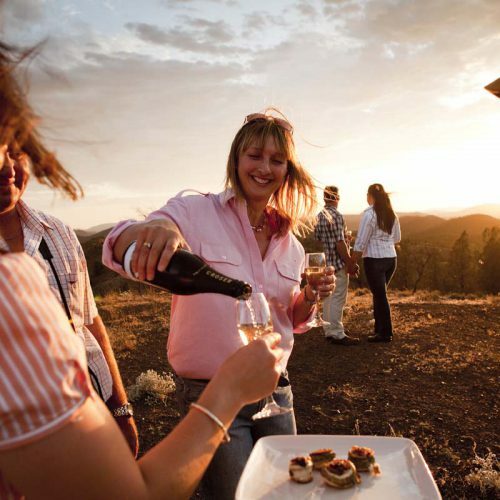 Enjoy some of Australia's finest wines with Great Walks of Australia. 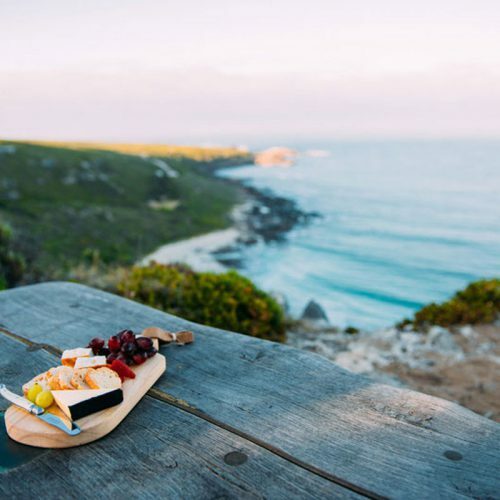 Taste some of Australia's finest wine at award-winning winery Will's Domain, on the final day of the Margaret River Cape to Cape Walk. 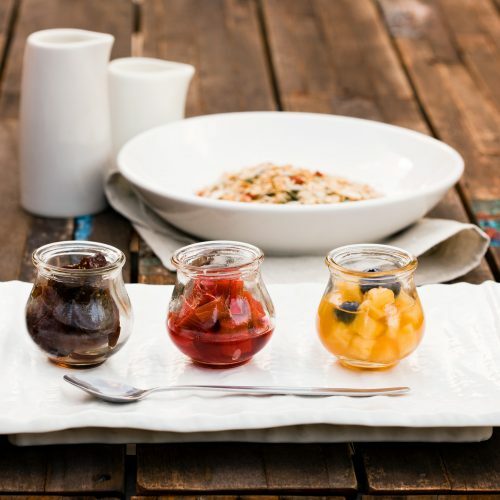 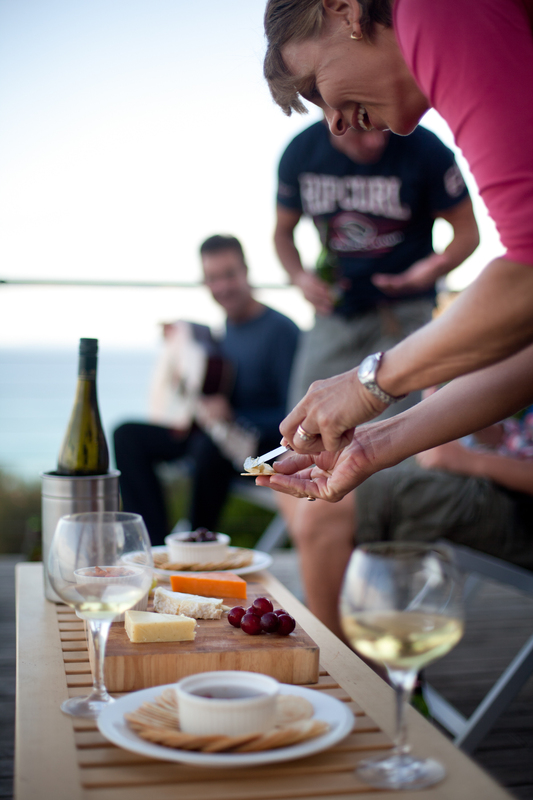 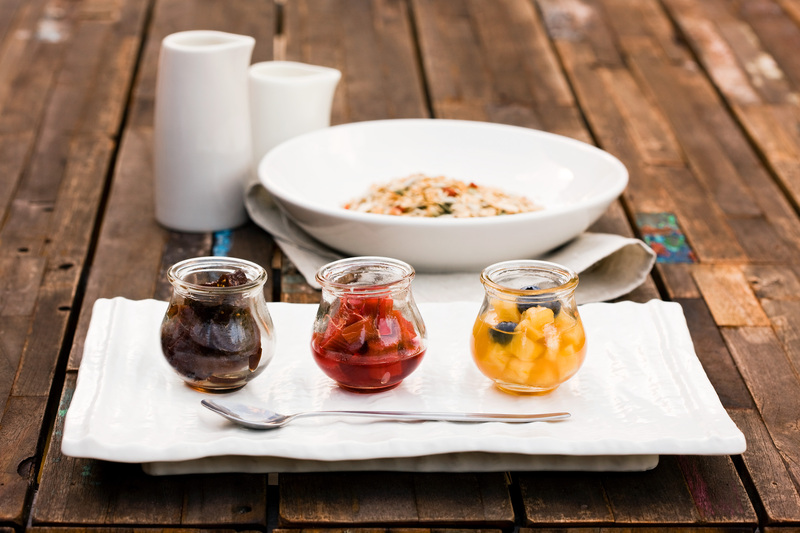 Rest with gourmet produce on the Margaret River Cape to Cape Walk with Great Walks of Australia. 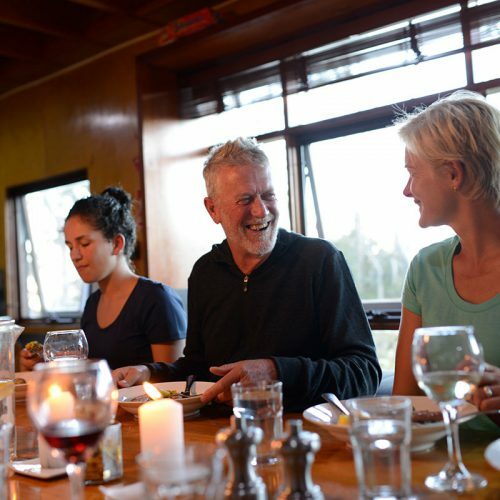 The Maria Island Walk,, Tasmania, offers unique dining locations with incredible local food and wine. 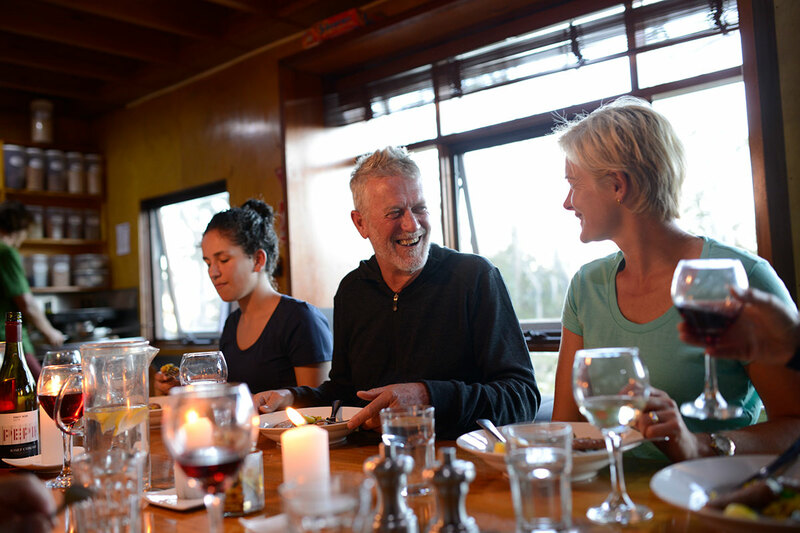 Dining at the Friendly Beaches Lodge on the Freycinet Experience Walk.